I figure the only kid who got this big feller for Christmas was Richie Rich... which helps explain why they are almost impossible to find today. 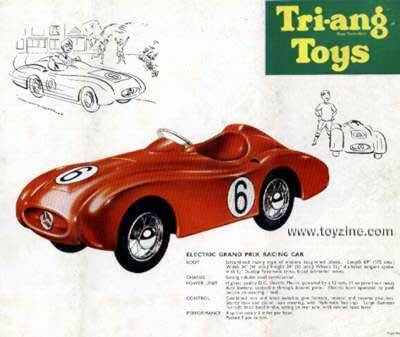 This fantastic electric powered Mercedes racer, produced in the early 1950s, was the pinnacle of British powerhouse Triang's ingenuity of design. 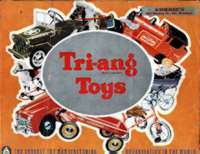 Thanks to Lines Bros Group's Triang Toys catalogue, 77th edition.